I used to constantly compare myself to others…but the way I see it now: there will always be someone smarter, funnier, fitter, prettier, popular, and a thousand other things, than you. So are you going to spend days, minutes, seconds comparing your body to that persons’ body, your grades to that persons’ grades, your dating life to that persons’ dating life? How does any of this matter? Will this matter to you in years, months, even weeks? Focus on happiness and personal growth. 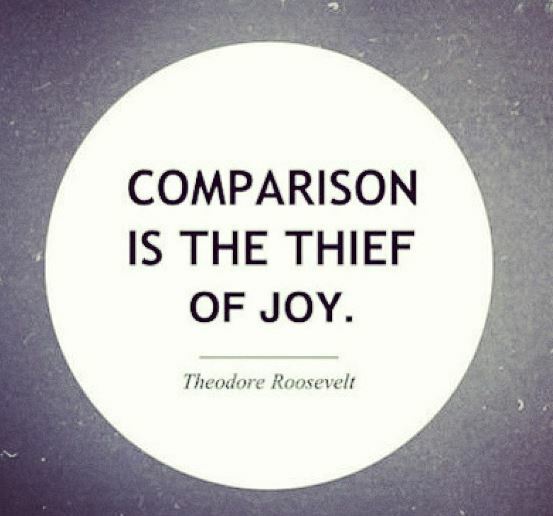 The only comparison you should ever make in life is between your past self and your current self work on being the best you.